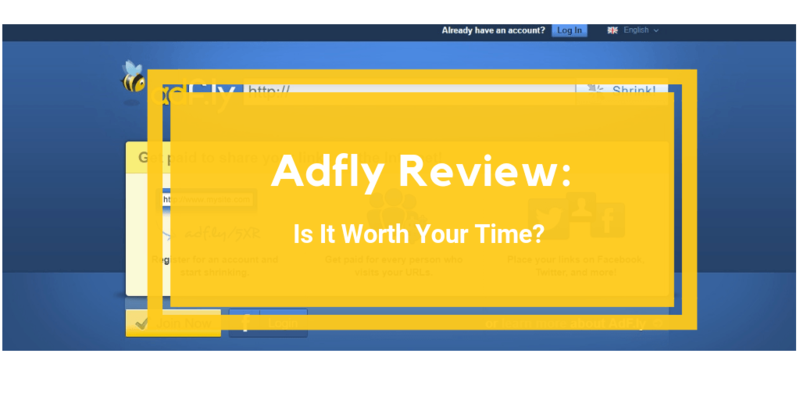 Adf.ly Review: Is It A Waste Of Time? Have you ever shared a link on the web and wished you could get paid? Most of the time when people do this they happen to be an affiliate of the company. But suppose you can’t join their affiliate program? Well Adf.ly may be the answer. Chances are you knew this already and it’s why you may have gone through a few Adf.ly reviews. But are you still skeptical? Well, you should be. In this Adf.ly review, we will expose a few things about this company that may not make it worth your while. You’ve been warned. Adf.ly is a combination of advertising network and url shortener. It was founded by James Simpson in 2009. It’s registered in London, UK as x19 Limited. Advertisers sign up with Adf.ly to have their ads placed on websites through publishers. Because they are a UK based company, they are not listed on the BBB (Better Business Bureau) website. Have you ever clicked on a link and then you are taken to an ad first? In a few seconds, you are usually presented with a “Skip Ad” button that you can click to get to the page you wanted? Well, that’s how Adf.ly works. They provide the ad and pay people like you to promote the links. As a publisher, you can use Adf.ly, to create a shortened link to any website even those you’re not an affiliate of. When you share this shortened link and someone clicks on it, an ad would be displayed first before the user was redirected to the website you set up in your shortened URL. A visitor must stay on the link for five seconds before clicking away to their intended destination. As a publisher, you would receive 50% of the advertising revenue for ads. In order to place shortened URLs on your site, you need to install a script on your site. There are two types of scripts. One script will shorten only advertising links and the other script will shorten all links on your site–both advertisers’ links and your own links. Adf.ly has a mobile app which you can download that allows you to access your account from your mobile phone. No matter which script method you choose, traffic will be a key component to earning money with Adf.ly. And you will only earn commissions on Adf.ly ad links–not your own links. If your site isn’t getting enough traffic, you may want to consider joining Wealthy Affiliate. They will show you step by step how to get tons of FREE traffic from Google. Having multiple income streams is always a good idea whether you decide to use Adf.ly or not. So with that in mind you may want to join other networks such as Maxbounty.com, Traffic Jam Media, iGain.com or Ezoic. How Much Can You Make with Adf.ly? You can earn 50% from advertisers. There are different rates for different countries so where your traffic comes from also determines your income potential. Your commission rates are calculated by the thousand. For instance, if you live in the U.S., for one thousand unique clicks on a banner ad in a 24-hour period, you will earn $1.69. You will need a lot of traffic to your site to make this worthwhile. Fortunately, joining Wealthy Affiliate can help you get tons of FREE traffic from Google. When Do Adf.ly Publishers Get Paid? Payments are made through PayPal or Payoneer on the first of each month. The minimum payout for PayPal is $5 and the minimum payout for Payoneer is $10. Since the company is based in London, payments are made from GMT (Greenwich Mean Time) Timezone. Adjust your location to GMT to get a more exact time. To find out more about Adf.ly requirements, see their Terms and Conditions here. To log into Adf.ly, click this link. Should you have a problem, you can check the Adf.ly Forum to see if you can find an answer or check the Forum FAQs. You must be logged into your account in order to contact them. You may have better luck contacting them through their Facebook page. They seem to respond there. We’ve discussed a few of the features of Adf.ly and how it works. Now let’s tackle the many reasons you may want to give this one a pass. According to the rate sheet, all commissions are based on what country your traffic is coming from and those rates are also calculated by the thousand. You will have to have a ton of traffic to make any money here. Adf.ly advertisers use pop-up ads as well. You can set the number of times your visitors see pop-up ads by adding a line of code to a Java script. Obviously, pop up ads are annoying, but they are effective. However, given the pay rate, it may not be worth the annoyance of your users. If you live in a country that does not permit PayPal or Payoneer, you are out of luck here. PayPal and Payoneer are the only payment methods. Make sure your country is not restricted. It’s possible that you could expose your computer and your visitors to malware. This wouldn’t come from Adf.ly itself, but the advertisements. The only way to connect with Adf.ly is through the forum or by sending an email. According to our research, they also take a long time to respond. Unfortunately, there is no phone number to reach anyone. Should You Join Adf.ly Network? On the surface, this looks like an easy way to make money with your blog. But when digging in further, the payouts are not that great. And you need a lot of traffic to make the smallest amount of money. Joining Wealthy Affiliate can help you with getting more traffic. But you would probably make money monetizing your traffic by joining other networks such as Maxbounty.com, Traffic Jam Media, iGain.com or Ezoic. Well, I guess that’s it for now, folks, If you’d like to know more about Adf.ly, check out the Publishers Knowledge Base here. If you are a member of Adf.ly, I’d love to hear about your experience. Likewise, if you have any questions, please leave a comment.